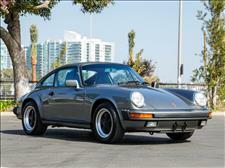 I purchased my first classic 87 911 with 11,000 miles from Neil at Chequered. It was one of the best purchase experiences I ever had buying a car. 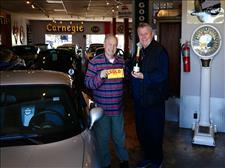 Neil and his staff was consultative, honest, responsive, professional and delivered the car right. I would recommend him to my closest friend. Even the lady that did all the paperwork was extremely nice and thorough. With all that said, I also think I got a good deal. Pleasure working with these guys. Purchasing a pre-owned vehicle had never been so easy. JP and Alex were accommodating, friendly, and professional throughout the entire process. My husband and I went in on a Saturday to test drive one of their cars. The lot was a lot cleaner than I had expected. Plenty of beautiful classic and/or antique cars to admire and appreciate while on the lot. Once we decided on purchasing the car, JP got all the paperwork in order to send over to our bank for the funding of our purchase. Unfortunately, there was one document missing which forced us to wait until Monday to complete the sale. JP promised to have everything taken care of by early Monday morning. Come Monday, about 8am-ish, I called into Chequered Flag and was pleased to hear "the wheels were turning." They had already sent in the necessary documents into our bank to get things completed. 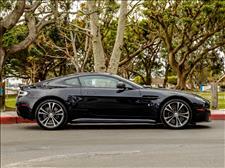 Once all the legal stuff had been taken care of, JP sent someone out to pick us up to take delivery of our new car. The next time we're in the market for another vehicle, we would definitely look through their inventory first. Kudos for the great service. I would highly recommend them to anyone looking for the type of vehicles they carry. 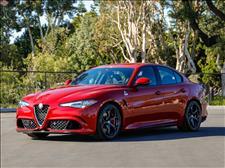 I recently purchased a 2017 Alfa Romeo Guilia Quadrifoglio from Chequered Flag Int’l and had a great experience. Alex and Neil were easy going and made the transaction simple with no BS. Very refreshing! The car was perfect and exactly as described. I would absolutely purchase from them again and I highly recommend them. It all started with Jack. My 9 year old grandson, who is a precocious car guy. He told he had gone in several times to the Chequered Flag Showroom, and every time the sales people were very nice to him. Answering his questions and offering explanations, when he obviously wouldn't be able to buy a car for another 10 years or so. So when Jack told me that they just got in a car that I've been dreaming about for the last 15 years, I decided to in and check it out. I fell in love with the car. The guy at The Chequered Flag made me feel at ease and were n to pushy. Answering my many questions without rolling their eyes. The made the deal easy, and even had French Pastries waiting when I came back to pay for the car. I highly recommend getting to know the guys at Chequered Flag if you are in the market for a classic or sport automobile. 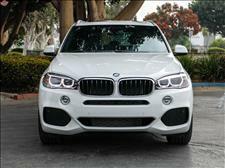 I recently purchased a BMW X5 at Chequered Flag, Neil and Loraine could not have been more professional and patient with me during the process. 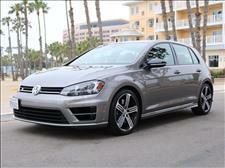 I am very pleased with the car, it is everything they advertised it to be and then some. We flew in from out of town to pick the car up and my wife could not believe how quickly we completed the remaining paper work and were on our way. Aside from the car buying experience I have to say they have an amazing inventory and I will absolutely look to Neil and Chequered Flag for my next car purchase. 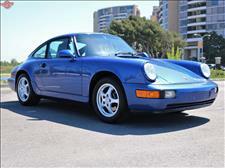 I bought a 1988 911 (low miles) from Neil/Chequered Flag in September 2018. I did this as a long distance purchase - I'm a US expat and I live overseas, but keep a stable of classic cars (well, 3 classic cars!) in New Jersey. Neil could not have made the arrangements for the purchase easier. He was patient, took the time for calls and detailed emails, and was helpful and honest in all the discussions about the car. The entire purchase was done "long distance" (I didn't even see it before I bought it, but I arranged for my nephew to see it and drive it) - not something I've done before with buying a car, but everything from the first contact, to helping me arrange a pre-purchase inspection (PPI) to transporting the car to New Jersey was made easy thanks to Neil's professionalism. Neil had advertised the car as pretty much in perfect condition. When the PPI showed a few minor things (filters, hood struts needing replacement, one headlight high beam not working, A/C not being fitted with the customary factory upgrade, power seat a little finicky, etc. ), Neil stepped right up and said he advertised the car as having everything working and updated, so he said he would gladly take care of the cost of those items, even though it wasn't done at his shop. I was really impressed with how he conducted business. And the car? What a fantastic vehicle! I get compliments about it wherever I go, and thoroughly enjoy driving it when I'm back in the US. I drive a 2018 C4S convertible as my daily driver (overseas), and the '88 Carrera is just as fun (maybe more so). I could not have been happier with the purchase and the process. If I could rate more than 5 stars, I would. The car is wonderful and I’ve put 500 miles on already. 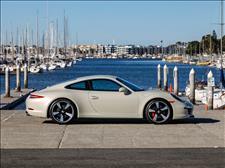 Porsche did my state inspection and said the car was beautiful! Thank you for being patient and helping the deal go forward. 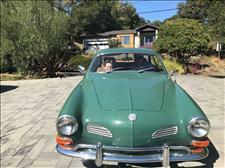 I surprised my husband for his 50th birthday with a 1971 Volkswagen Karmann Ghia which was the car he had in high school. I searched everywhere for the perfect KG and found it at Chequered Flag. JP made the buying process so easy and was terrific to work with. He helped me pull off the surprise, including shipping the car up to Northern California complete with a big bow! My husband was totally surprised and so happy. It was the best gift I have ever given anyone and I thank Chequered Flag for helping me make it happen...from having the perfect car, to tuning it up, to shipping it to NorCal, to JP's responsiveness and Loraine's help. Amazing experience! Just purchased an S63 MBZ AMG from Alex and Neil through BaT, and when the car arrived it was exactly as it had been portrayed. They found me a transport the same day and made sure I got a fair price on a covered carrier. Very few classic and special interest dealers display the professionalism, the inventory, and the care I received from Chequered Flag International. I'm an older retired "car guy" that enjoys looking and trading on a regular basis, but I only have four dealers in my "favorites" file. CFI is the very first one. I just want to say, these people are the easiest to work with. Absolutely no hassle. There was no pressure what so ever. This was my first time to buy a car sight unseen other than photos. But when it arrived, it was just as described. I highly recommend, to look at their cars first. Do not worry about shipping, because they handle all of that for you. Prices are reasonable for shipping. Thanks again JP and all at Chequered Flag International. There are certain times in a man's life that stand out... meeting your wife, holding your newborn child, and rolling off the lot at Chequered Flag in your first air cooled Porsche. 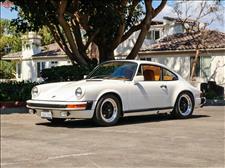 I saw the car, a white 1978 911SC on Craigslist and my jaw dropped. Seeing that it was listed by Chequered Flag, a place that my kids and I go to look at "cool cars" from time to time, I called immediately. Neil answered and gave me an exhaustive rundown of the car. The car was in my garage a week later. My experience was top notch from beginning to end. Being handed a tome of service records dating back to the vehicle's purchase date, along with the most recent major service Chequered Flag did on the car before they even put it on the floor gave me the utmost confidence in my purchase. 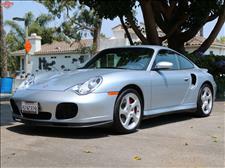 Neil was a fair negotiator on the price and even has helped me solve a few little quirks over the phone after the fact. 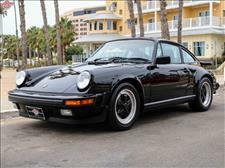 If you're wanting a classic/unique car with no surprises I'd highly recommend checking these guys out... a very personal private sale vibe with the confidence, support and experience of a dealership. If you love artwork that happens to be both mechanical and has four wheels this is your place. An eye- and brain- exploding gorgeous car collection. I recently bought an '88 MB 560sl. The selling process was both knowledgeable and utterly low-key. I dealt mostly with Alex. I sold my old car there as well and the deal was struck in a matter of minutes on a handshake. As part of the purchase deal, the car needed some work and the separate business next door owned by Jan (Vintage & Sports Motors), patiently explained & showed and did all that was required and more. 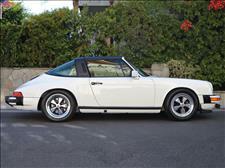 At Chequered Flag I finally found the vintage Porsche Targa I'd been looking for. They came very highly recommended from several people who own many cars, and who know a lot about all the places and people that sell them. The entire experience at Chequered Flag was great. Alex was very knowledgable and helpful, but I never felt pressured. Chequered Flag carries a large variety of cars, but I felt like no matter whom I spoke to there, they were very familiar with "my"car. Jan from V&S motors was a big component of my moving forward with the purchase. When he talked about the car, and described in detail the work he'd performed, you could feel his love for the car and his passion for his job.I felt very confident that the car was in great shape and I wasnt going to have any surprises. Chequered Flag took all the worry out of buying a 37 year old car. I left feeling like not only had I gotten my dream car, but also a great team of people who came along with it. Everything about my experience with Chequered Flag was top rate. 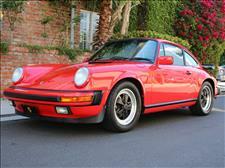 Neil was knowledgeable and willing to answer any question about the 1989 Porsche 911 that I purchased. The transaction was very smooth. Loraine answered every question quickly and provided support that is unmatched. Jan from V&S motors performed a thorough inspection and made all of the repairs necessary to provide me with a car that is solid and ready to go. All in all a great experience. Eagle has landed! Gave it a once over and drove it quickly. Exactly as expected and a beautiful car. Thank you for all your help. We truly love this car! I got the plate situation all straightened out so no worries there. She arrived safe on Sunday morning. Thank again take care. The Cabrio arrived very well in Germany. Barbara and me are very happy. 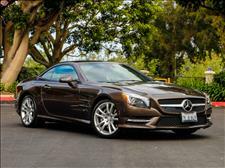 Fantastic car !!! 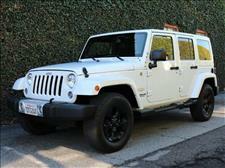 We received the Jeep and are extremely pleased. Thanks for everything. 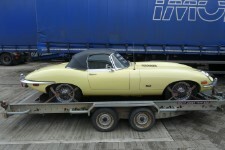 Dear Neil, I thought I should let you know I collected the E-type roadster from Felixstowe today and all was well - see attached photos. The car has made the long journey to England completely unscathed. The engine started straight away and I was able to drive it onto the trailer. It seems a really nice genuine car and I'm very pleased with it, so many thanks for selling it to me. I'm also grateful for the documents you included with it, which are very nice to have. 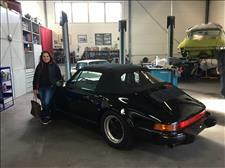 This is a review by a couple of true car enthusiasts, who are excited about their purchase of our first vintage car. After watching enough sequels of "Jay Leno's Garage" and "What is my Car Worth" my wife got sufficiently excited to help me (aka allow me) to get started with this hobby. I grew up in the 70's and was a teen in the 80's and always was close to Mercedes cars of this era. 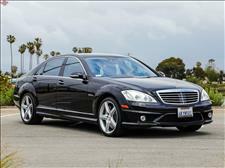 We do have contemporary Mercedes as well and we made our share of different experiences when it comes to a new car purchase. The more nervous we were with a purchase of a vintage car, where even many more things can possibly go wrong. In addition we set up the whole purchase from the East Coast through internet and phone only not being able to travel due to work prior to conclusion of the deal. Are we crazy ? Maybe, but at least we picked the right people to work with. Alex and Neill in the background were absolute professionals providing us with a good quality vintage car appraiser, allowed us to have the car inspected by a Mercedes Dealership of OUR choosing (Alex even drove the car there for me and picked it up). They also readily acknowledged some relatively minor mechanical flaws that emerged from the inspection and took it upon them to fix them at their cost. 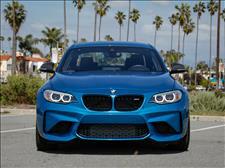 In addition they provided an extremely helpful contact for seamless Classic Car financing and insurance. 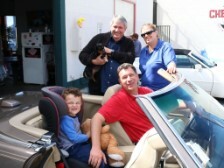 All we had to do is to fly to LA 4 weeks later, pick up our impeccable 4o k mile 1987 560 SL in pristine condition and drive around LA and Southern California for a week with our 4 year old son and dog in the 2 plus 2 backseats. The icing on the cake of this positive experience was Jean another of the associates who at the end of our week allowed us to park our new vintage car in his own private garage for a small fee for 6 weeks since we wanted to come back to California for 2 more weeks of cruising this November given the lousy weather on East Coast before transporting the car back to New York. Jean was also such a Gentleman that when we were late for the airport dropping the car with him on a Sunday he called a quick Uber ride for us on his bill. These were all TRUE Gentlemen and it was the most honorable business experience of any kind let alone cars that my wife and I ever had. They respect car lovers and they respect their work. They as a group have our respect forever and we will be back with them in the future for SURE. Tim , Just a quick note to thank you for all your efforts in making sure our purchase went smoothly. The truck is fantastic - as new - just like you described! THANKS! Neil & Loraine, The Avanti arrived in good condition yesterday. Driver liked it. You can always tell when they ask you how much you paid for it. I told him less than the $50K the dealer was asking. The shake down cruise including the local car wash has been completed and it is as advertised except that the fuel gauge is inop. Probably the sender in the fuel tank. Actually among my four (previous) Avantis it ranks #1. I like it. Even getting used to the color. Thanks. A sincere thanks to Chequered Flag International and in particular the wonderful and famous Neil in sales for their integrity and dedication to the pursuit of automotive happiness. A toast to a band of true enthusiasts who are delightful to do business with. It is rare indeed to find this level of expertise and attention to detail today. The extra mile has been travelled with joy ! My Experience with Chequered Flag was exceptional. The experience and attention to detail they showed me was as great as the special cars they have in their showroom. I recommend them highly and was pleased with my purchase. Just wanted to say thank you....car checked out perfectly here with an orig Alfa service tech...very happy. Car is wonderful. Thanks so much.